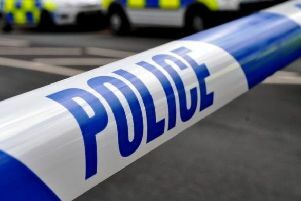 Police say two people arrested in connection with a ‘hit-and’run’ in Hailsham have been released under investigation. A member of the public discovered a pedestrian with serious injuries on a verge on the A22 about 4.38am on Friday, September 21. The air ambulance attended, and the 73-year-old local man was taken to Royal Sussex County Hospital in Brighton by land ambulance, where he remains in a critical but stable condition. His next of kin have been informed. Following enquiries, police located a white Renault – believed to have been involved in the collision – in Hellingly, which has since been seized for forensics. A 28-year-old man and a 25-year-old woman from Hellingly were arrested on suspicion of causing serious injury by dangerous driving, failing to stop after a road traffic collision and failing to report a road traffic collision. They have been released under investigation pending further enquiries, said Sussex Police. Police would like to thank everyone who has come forward so far, however they are still appealing for witnesses or anyone with information about the vehicle to get in touch. In particular, officers are keen to speak to anyone who was driving in the area late on Thursday, September 20, or in the early hours of Friday,September 21, who has dash cam footage. The incident occurred just north of the Eagles roundabout on the northbound carriageway, which was closed until about 2.50pm while emergency services attended the scene. Anyone with any information is asked to report it online or call 101, quoting Operation Cache.